Recently, multiple retailer listings suggested that Travis Strikes Again: No More Heroes would be receiving a physical edition despite a lack of any official confirmation. Now, though, that official confirmation has arrived, and the physical version will be handled and distributed by Nintendo itself. Grasshopper Manufacture will still be self-publishing the title, which is set to release on 18th January next year, but this physical release looks set to boost the game's presence in stores. As well as giving you another pretty box to meticulously place on your shelf, the physical version looks set to come with a season pass as standard, giving players instant access to all future content. Unfortunately, specific details about the contents set to be on offer with this season pass have yet to be revealed, although Grasshopper Manufacture have confirmed that it will include an additional character, a new adventure scenario, and a new stage. Naturally, more information surrounding the season pass will be revealed at a later date. Are you excited for this one? Will you pick up a physical edition when we learn a little more about its release? Tell us below. Um, your point being what exactly? ^^; Because I don't see the problem with this for those that would be interested in a physical copy of the game. Looking terrible and being terrible are two different things, and i didn't realize this game could be judged in its entirety yet for being a terrible experience not worthy of having these sort of viable options to all consumers. @Desa Did you read the article ? I'm gonna help you : "Are you excited for this one? Will you pick up a physical edition when we learn a little more about its release? Tell us below." So, my answer is : " NO WAY ! The game looks terrible. :/ "
I’m going to sit this one out for now and wait for reviews. I’d really like to support the No More Heroes franchise, but I won’t buy this one blindly. It's nice that if you buy the physical it includes the season pass. @Cobalt Someone's upset that other people are actually excited for this game, and are happy there will be a physical release. My excitement for Travis is on the back burner at the moment. Make me more excited please Grasshopper !! 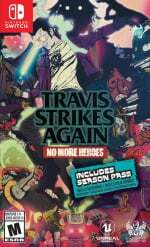 Absolutely love No More Heroes, but like almost everyone else I'm extremely cautious about what we've seen of Travis Strikes Back so far. Quite looking forward to this, I'm keeping the faith! Really glad they're giving it a physical release. I can't wait, day one! Cool. I shall get the physical version then. GHM has been making nothing less than great games consistently for decades now, pretty sure we are at a point where it's a given that the game is gonna be good. This one looks fresh too, something new. AND co-op with my special lady friend? Just from casually browsing comments on this site here and there I'm pretty confident you have a mental disorder. Excited? For a presumably unfinished minigame compilation that mooches off a known brand and it's characters? Entirely possible. I do love them spin-offs and experimental titles that go for offering novelty rather than content. This game, though, I keep forgetting it even exists. 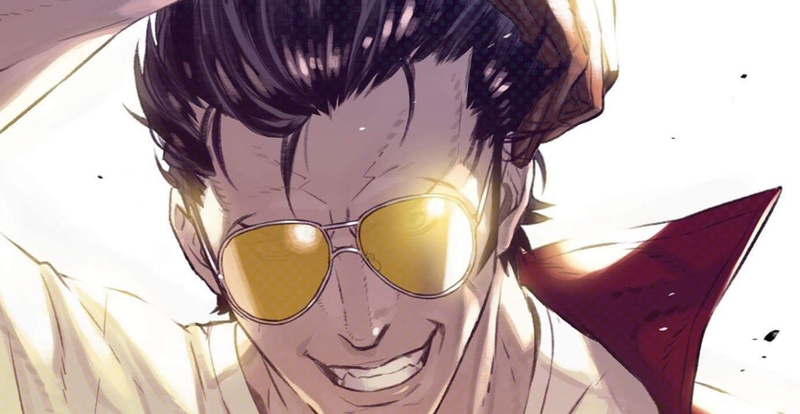 And I own the first two No More Heroes. @Cobalt yep.. looks awful. I don't care either way, but Hollow Knight deserves a physical edition before this nonsens. Killer7 for PC just came out... Looks great, and $17. Day 1 for me. More NMH is always good. yet we still know next to nothing about it. Nintendo expects pre-orders? @Frendo You kinda forget that people really do live in their parents basements until you start reading game sites again. Definitely a purchase. Loved these on Wii. I'll hold off a bit tho to see content. I'm buying it, looks fun and I bet there is way more to the game than what has been shown so far. I want to wait for reviews, but by that time, physicals mite be sold out (which I hope it doesn't if its a good game for my own sake, but also hope it does because I want the game to do well). Man alive... a lot of people seem to have utterly judged this game already... but bear in mind the sheer quality which Grasshopper usually deliver. Let's give it a fighting chance. 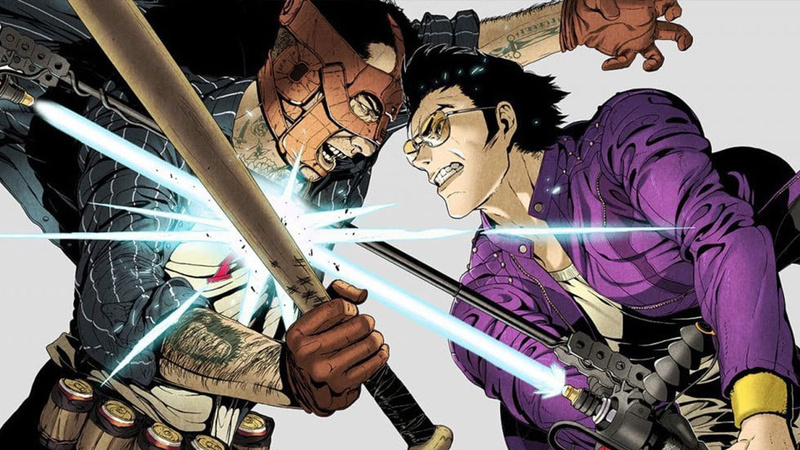 If you understand that by contrast with 90% of the people here, I'm not a blind fanboy who sees everything with pink glasses than you realize that from my perspective, Travis Strikes Again Is not looking good at all. Now, if people think that the game looks great, I have no problem with that... but for me, it looks terrible. @Cobalt The only thing terrible about this game is how they’ve gone about releasing info regarding it. There what like 8 game modes and only one has been shown, all paying homage to classic games supposedly. I don’t think it looks like the best thing ever, but I am keeping a safe distance as I love Travis as a character and the art style but am worried of what the other games it has in store. Again doesn’t make it a terrible game.. just gotta keep expectations realistic. @Cobalt So why such a sarcastic comment? You knew exactly what was going to happen. All you had to say was a simple "nah" there was no need to be harsh about a game you've only seen 0.2% of. @Cobalt You have worthless opinions, and are in fact blindly judging a game based on how the duplo blocks rattling around in your head are making you feel. That's what it's as simple as. This is the best proof of your intolerance when you hear another tune than the one playing in your head. When a lie has been sufficiently repeated to the point of being commonly accepted as the truth, the more it is enormous, the more difficult it is to question. @gutsack I think it is. I’ve seen him do it before when he’s overwhelmed. @Draxa Imagine the mental anguish he suffers trying keep such cognitive dissonance intact. While battling the apparent paranoia and probable discontent with his life and surroundings at the same time. The world is a cold place for speds. I was really disappointed with what I saw when they first showed some trailer like game play. Since it's Switch exclusive and has amazing art work and design, will definitely be getting this day one. Which I never do. @Frendo eh, he's not as bad as the Nintendo life mod who've pretty much made fun of someone with cancer :/ remember that? @Frendo NL mods sadly don’t seem to care about his pathetic trolling attempts, so reporting is no use. Just put him on ignore, the more users that do that, the less exciting it is for him to go on with his crap. I bet he doesn’t even own a Switch, he just gets aroused by spewing negativity around here. Regarding the game: I wait with my judgement for it when it’s out. Never played a NMH game before, the main games seems fun. @Frendo But you can easily ignore him, by pressing the ignore button in one of his posts. After that you won’t see any of his comments. The only thing you’ll see are other people’s responses to his BS. If all of us stopped responding to him and instead put him on ignore, he would pretty soon give up and go troll somewhere else. I don’t think he has mental problems, that’s taking it too far. He’s just a bored child with too much time on his hands and he uses it to troll. You don’t need to be nuts to enjoy that, just immature. @Frendo Might be true, which would make him even more pathetic. Wouldn’t be surprised if it’s just another lie though. But just put the man/child (manchild?) on ignore and it’ll feel much better.